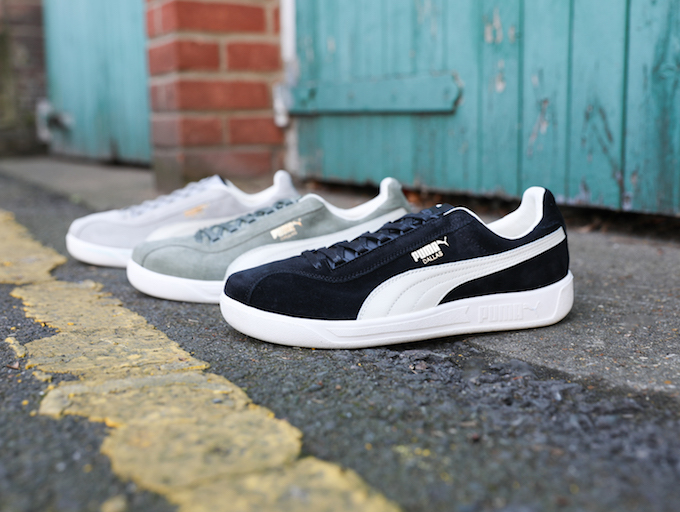 Terraces at football grounds are mostly a thing of the past but that doesn’t mean you can’t personally pay homage to the crisp, tidy fashions of the time by copping a pair of kicks from the PUMA SS/17 TERRACE COLLECTION. 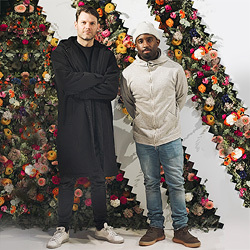 Many football crowds – the Premier League in particular – may be dominated by the ‘prawn sandwich brigade’ these days, but not so long ago the stadiums were filled with Terrace Casuals. 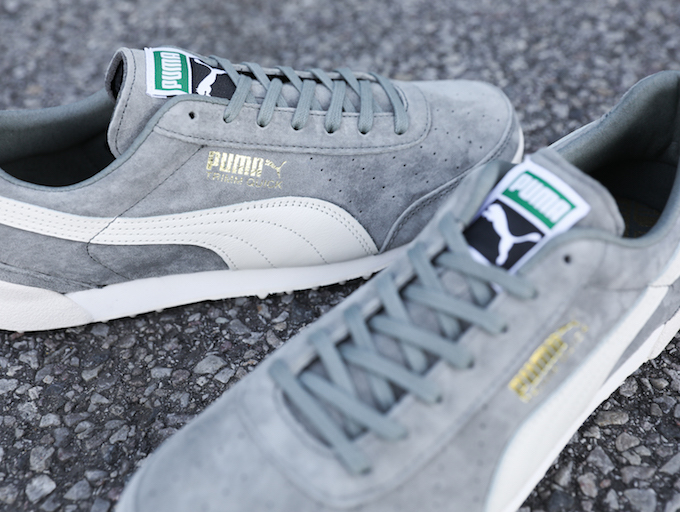 The casuals were known for, among other things, their love of casual wear labels and sports brands, and it’s the latter that PUMA has chosen to celebrate with this latest pack. 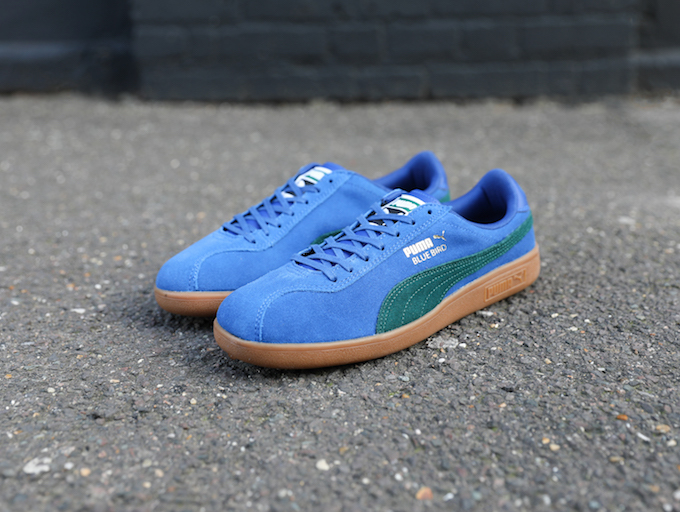 The German brand has always had a close affinity with the football crowd and, as such, it has taken the Roma, Trimm Quick, Bluebird and Dallas – all styles that come straight out of the PUMA archives – and updated them with modern and luxurious fabrics, as well as contemporary trend colour palettes. 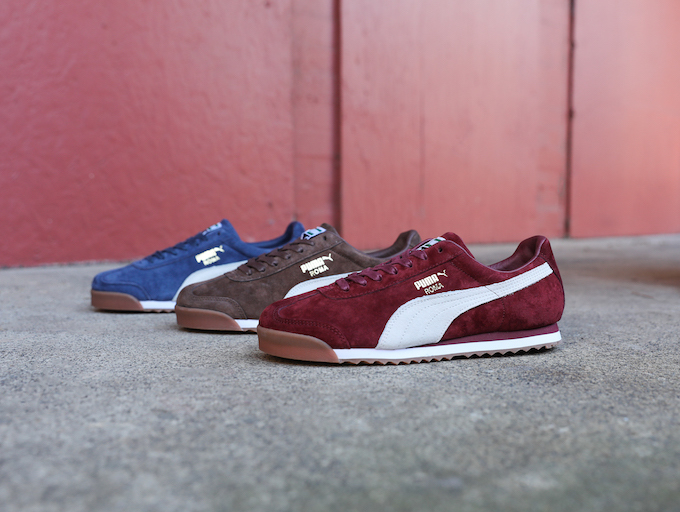 The Roma will be released in three colourways – blue, brown and burgundy – and combined with a gum sole, making for a traditional match-day look. 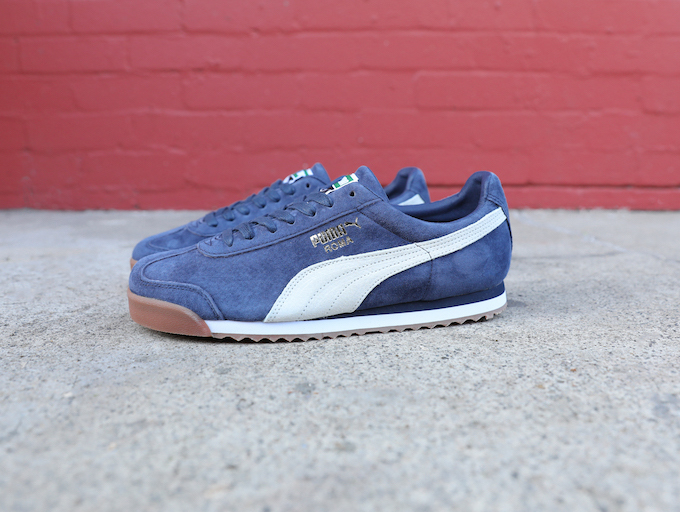 The Bluebird, a lightweight shoe designed for indoor training, has been spruced up with soft suede and gold foil branding. 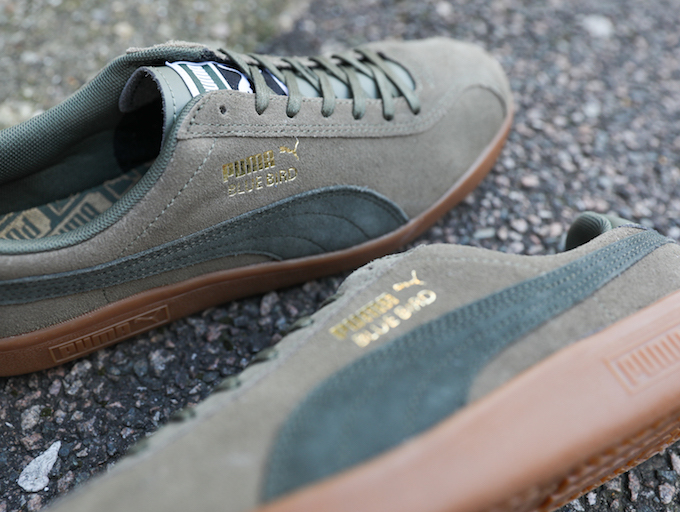 It will be available in your choice of black, light blue and a khaki green. 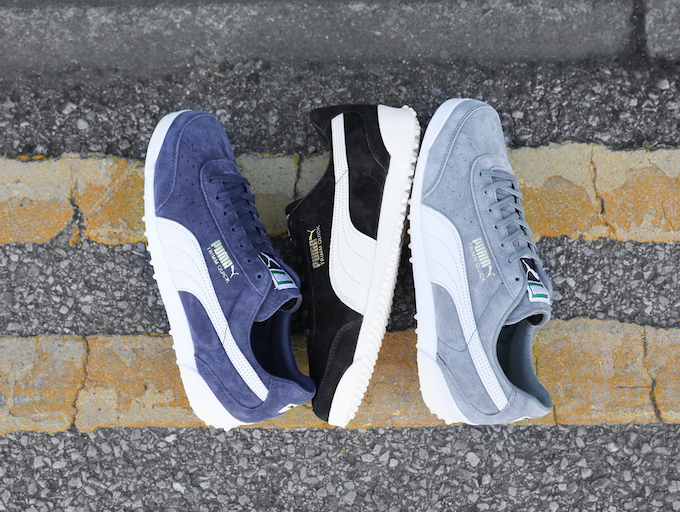 The Dallas, which was a hit with b-boys as well football casuals, features suede uppers and leather form stripe. 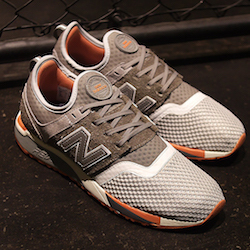 The colours available will be black, and two shades of grey – one lighter than the other. 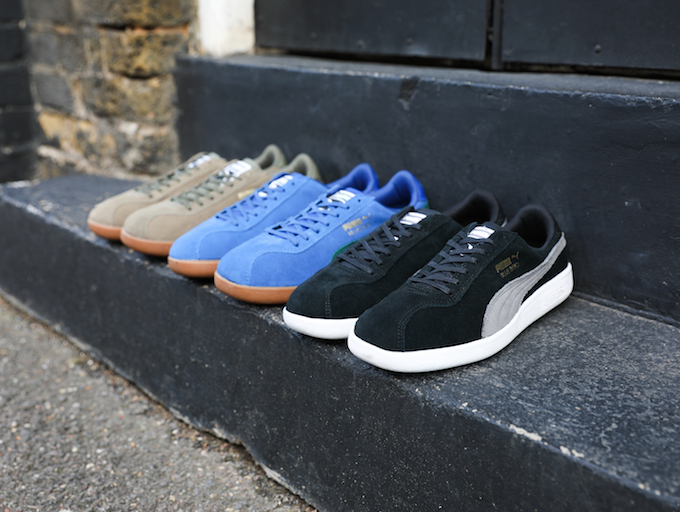 The Trimm Quick, which will be available in blue, grey or black, was originally designed in the ’60s to encourage Germans ’60s to pursue more active lifestyles. 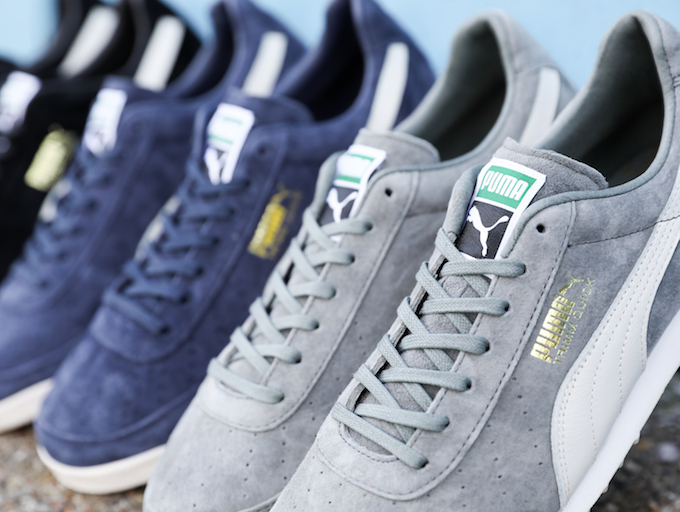 The PUMA SS/17 TERRACE COLLECTION is AVAILABLE NOW, so hurry and decide which style(s) and colourway(s) you need to complete your ’80s terrace-style look. 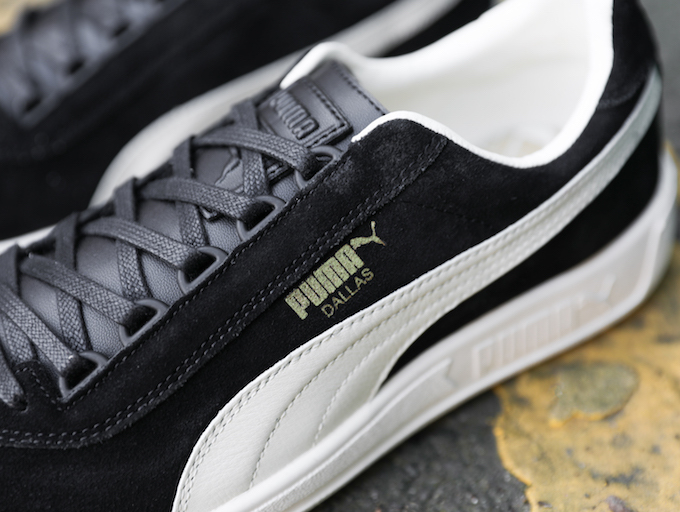 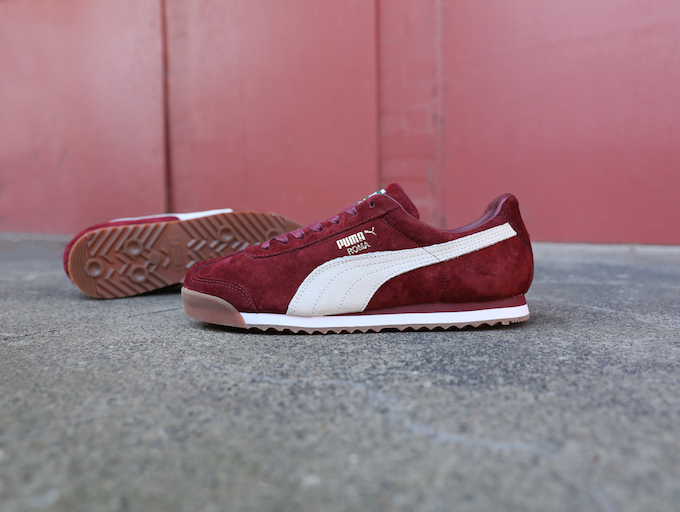 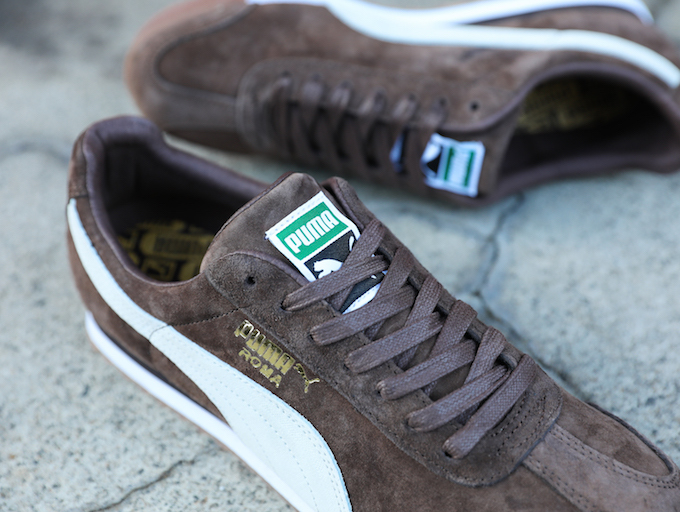 Click the banner below to check the current PUMA selection at HANON.